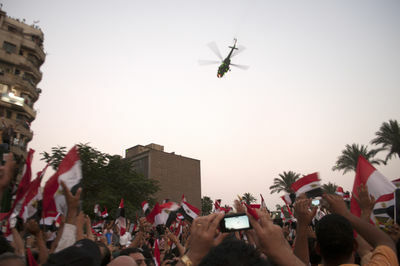 Crowds cheer on the passing of a military helicopter in Tahrir Square shortly after the Egyptian military's 48-hour ultimatum for President M0hammed Morsi to share power expired on July 3, 2013. 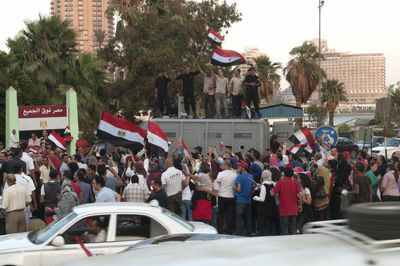 Crowds converge on Tahrir Square shortly after the Egyptian military's 48-hour ultimatum for President M0hammed Morsi to share power expired on July 3, 2013. 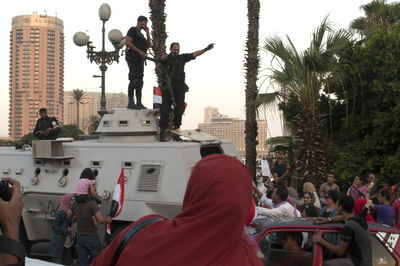 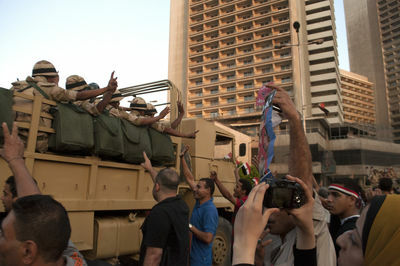 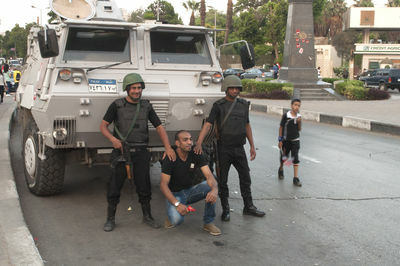 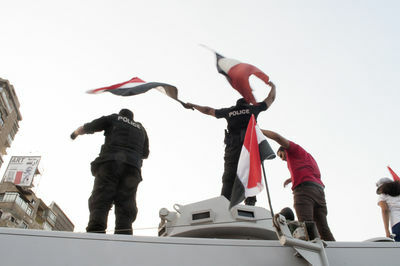 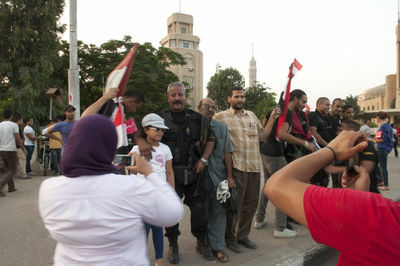 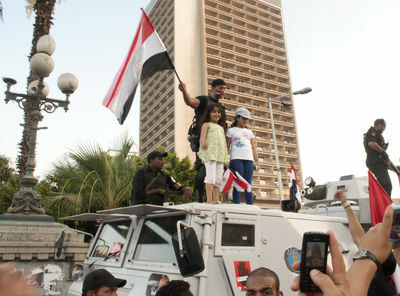 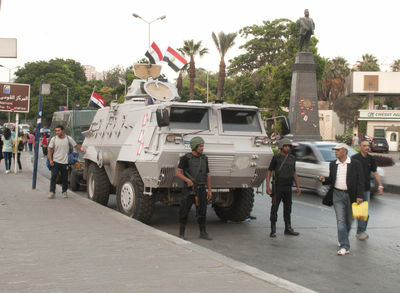 Crowds in Giza marching to Tahrir Square celebrate and pose with recently arrived security forces shortly after the Egyptian military's 48-hour ultimatum for President M0hammed Morsi to share power expired on July 3, 2013. 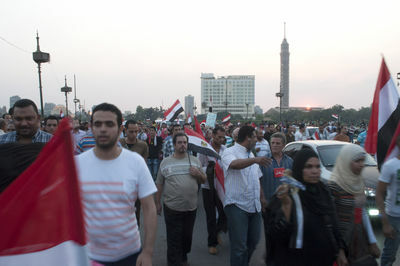 Crowds in Giza marching to Tahrir Square celebrate the arrival of security forces shortly after the Egyptian military's 48-hour ultimatum for President M0hammed Morsi to share power expired on July 3, 2013. 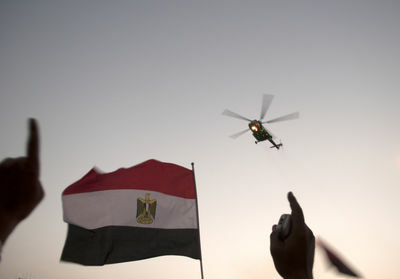 Crowds in Giza marching to Tahrir Square celebrate with security forces shortly after the Egyptian military's 48-hour ultimatum for President M0hammed Morsi to share power expired on July 3, 2013. 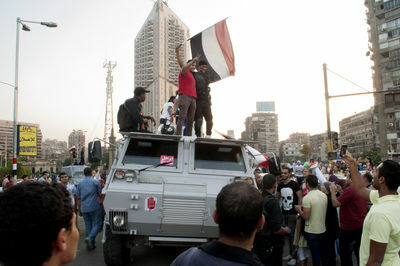 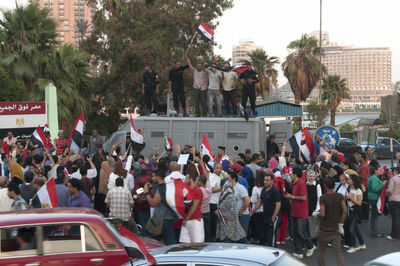 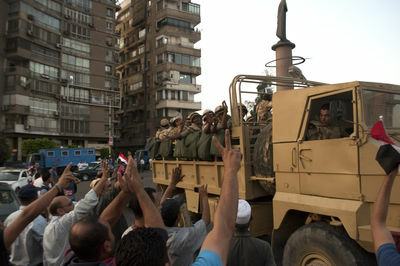 Crowds in Giza marching to Tahrir Square celebrate the passing of a military convoy shortly after the Egyptian military's 48-hour ultimatum for President M0hammed Morsi to share power has expired on July 3, 2013.